Our Mentors are senior teachers trained by Wanderlust to lead our 200-hour Voyager program. They will be your guides from start to finish. Our Assistants support the Mentors and are responsible for co-leading portions of the training. 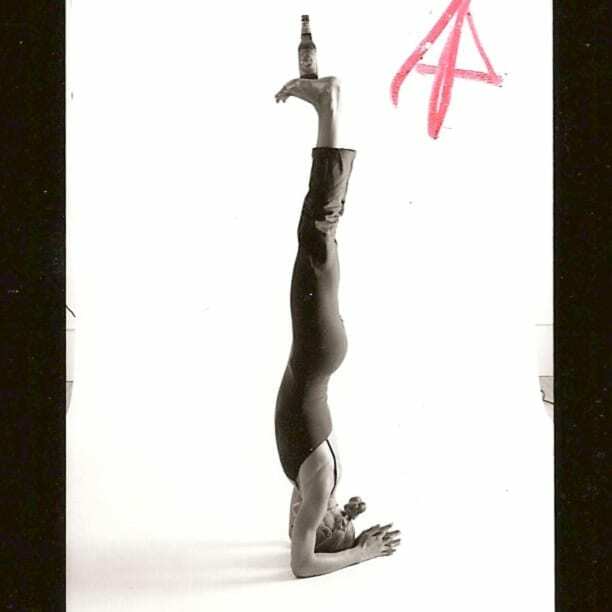 Alex Auder, a native New Yorker who grew-up in the Chelsea Hotel, has been teaching yoga for over 15 years. She began her teaching career at the original Jivamukti Yoga Center and at her own studio in Rhinebeck, NY which she opened in 1996. Eventually she moved back to NYC where she teaches out of her home studio (WestvillageYoga) and at Kula Yoga Project where she is a senior teacher. Alex is known for her graceful integration of clear and precise alignment cues, intelligent sequencing, practical philosophy, and generous amounts of what people have called “revelatory” hands-on assists. People also say she’s pretty funny. But not funnily pretty. I’m a former gymnast originally from Santa Cruz, California. Though I’d have voted myself Least Likely To Be An Entrepreneur, I proudly opened U Studio Yoga in Los Angeles in 2006. I’m big on weaving philosophy into the asana and my recipe includes equal parts sweat and laughter too. I see the poses as a tiny star in a vast yoga universe and few things are more inspiring to me than studying that universe. I’m grateful for Annie Carpenter, Tim Miller, Maty Ezraty, Jeanne Heileman, Vinnie Marino, Insight LA and for all the other incredible teachers who have and who continue to guide me. You can check out my classes online at My Yoga Online. Shape, NFL Network, L.A. Times, Huff Post and Self have featured me. Oh, and MindBodyGreen called me a Rock Star. (I know…pretty obnoxious.) I’m an ambassador for lululemon and contribute as a writer to Mantra Magazine, Origin, Gaiam, and others. Though my early childhood aspirations were to be a fairy princess, I’m pretty happy with the way things have turned out. With a yoga teacher for a mother, Ashleigh began her dedicated exploration of yoga at an early age in pursuit of healing a spine condition from birth. Now, living free from pain, Ashleigh is dedicated to sharing the healing power of yoga. She is the Global Yoga Trainer for adidas, was honored to be the youngest Certified Anusara Yoga Instructor in the world and is registered with Yoga Alliance at the E-RYT 500 level. Ashleigh is a presenter at the Wanderlust Festival, regularly films online yoga classes with My Yoga Online and Grokker Inc., and has contributed to Mind Body Green, Latin Women’s Health and German Yoga Journal. Ashleigh studies the ancient healing science of Ayurveda and brings this valuable wisdom into her teaching both on and off the mat. Ashleigh strives to make the profound teachings of yoga appealing to as many people as possible and is known for her clear, concise and extremely accessible teaching style. Inspired by mom’s Power Yoga influences, her first teachers included Bryan Kest and Baron Baptist. Ashleigh received her first 200-HR teaching certification at the Himalayan Institute with a strong influence from Rod Stryker’s ParaYoga®. Throughout 2008 Ashleigh traveled with and assisted John Friend, the founder of Anusara® Yoga, which empowered her exponential growth. After completing multiple Anusara Teacher and Therapeutic Trainings with John, Ashleigh now brings the knowledge of over 2,000 hours of global study to her teaching. On the global circuit with adidas, Ashleigh works side by side with some of the top performance coaches in the world and regularly expands her knowledge of how to incorporate yoga into the mainstream world of athletics, health and fitness. Ashleigh’s strong focus on the therapeutic application of yoga has made her a much sought after asset in the performance world. She continues to work with members of the Chinese Olympic Team, FIFA and NBA athletes. Ashleigh regularly leads teacher trainings and large scale classes in Europe, Asia and South America. Diverse global travel travel consistently reconfirms Ashleigh’s deep-seated belief that true transformation begins with dedicated self-inquiry and mindfulness in life’s most local situations. Yoga surprised Carolyn as a ski bum in Whistler ‘99 at the unaware age of 19. It initially provided agility for her snowboarding, skateboarding and trail running. Now, as a teacher in Vancouver, she continually learns how to connect with others and feel at home in one’s skin. The magic of yoga surprisingly grows quieter-towards a place where the physical, the internal, the spectacle and the witness are all one. Carolyn’s past life was outdoors, in environmental restoration. Since completing her first training in ’08, she has impacted many communities: as a contributing writer for My Yoga Online, filming videos with lululemon, as an educator for international YTTs with Lila Vinyasa Yoga and Semperviva Yoga, managing yoga studios and leading powerful silent meditation intensives. 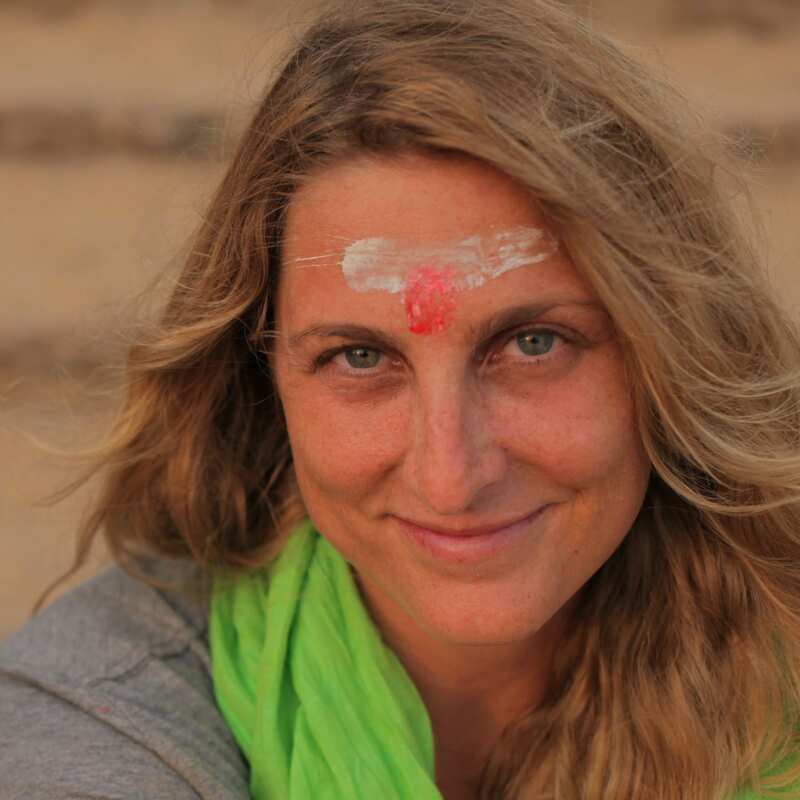 She has previously assisted at two Wanderlust Festivals and completed the Kula Yoga Project 75 hour advanced training. Carolyn’s vinyasa classes are chock-full of unique alignment cues, smart sequencing, some careful touch and some touchy jokes to which she pays gratitude to Schuyler Grant, Ana Forrest and Clara Roberts-Oss. Her passion for silent meditation in forests are thanks to Adyashanti and Michelle St Pierre. The many years of ‘being on stage’ teach her the importance of stepping back in order to let life happen… to do the work, change the scenery by going upside down, be emotional and then let life continue to happen… and to remember, it’s all okay. Danielle took her first yoga class in Los Angeles 15 years ago and initially did not enjoy it. Coming from a career as a dancer/singer, yoga lacked the excitement of music and choreography she was used to. It wasn’t until she started dating her husband-to-be, who introduced her to meditation, did she appreciate the meditative aspects the asana practice offered. Over the next couple of years, she tried a variety of yoga styles and completed a yoga teacher training with certified teachers in Ashtanga, Anusara and Iyengar. Since then, she has completed additional trainings in Yin Yoga, the 200hr YA Seven Spiritual Laws of Yoga, Primordial Sound Meditation and Perfect Health (Ayurveda) at the Chopra Center for Wellbeing in Carlsbad, CA and a 500hr certification with the American Yoga Academy. 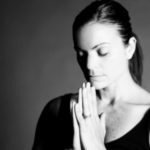 Danielle is the Director of Studio Development for the Chopra Yoga Centers in Vancouver and Toronto. She is a member of the teacher faculty for the Chopra Center and teaches yoga, meditation, and co-leads teacher trainings and events throughout North America. She is also one of the featured teachers for My Yoga Online. Yoga allows me to be who I am without struggle. To notice, breathe, remember and enjoy this body and this moment now. I love returning to my yoga mat to play in the body awakening, breathe into a heart wide open and find gratitude for my life and community. Classes integrate a clear foundation in anatomy with intelligent alignment, hands on adjustments, smart sequencing and ever evolving flows to heal the body. Students are encouraged to cultivate a deep passion for self examination and light hearted exploration. It has been an incredible gift to have studied and trained in yoga, structural bodywork and meditation. Thank you friends, students and teachers for reflecting the limitless. 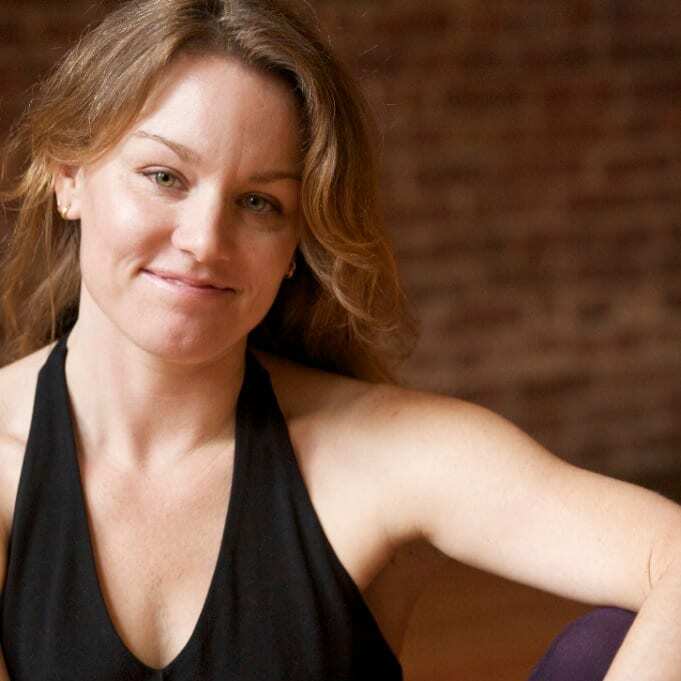 Erin is a senior teacher at Kula Yoga Project. She was on faculty at Stony Brook University in New York for 5 years where she wrote and implemented the Somatic Yoga syllabus and taught Contemporary Dance, Dance Improvisation and Butoh. Within her practice you feel her love of movement, the influence of kinesthetic anatomy, the investigative philosophy of Irmgard Bartenieff, the quiet passion of Astanga Vinyasa and the rigorous intelligence of Iyengar Yoga. Her alignment cues and energetic directives create a nurturing space for the practitioner to fully engage in an objective investigation of their physical, mental and psychical condition. Gioconda combines alignment and flow to empower students to grow in their practice, inviting challenge in a nurturing environment. She encourages playfulness and enjoyment while exploring the science and art that is yoga, and believes passionately in yoga’s ability to bring unity at an individual, community and global level. Yoga is a doorway to the greatest teacher, the wisdom that lies within and is reflected without. She seeks to study and learn from the natural world, and to inspire students to journey into their own deep wisdom. She has nurtured many students on the path from student to teacher through her trainings, and her Pay It Forward scholarships provide yoga outreach to a wide range of populations, from the homeless to troubled youth. In 2008, she initiated and co-founded the Austin based community movement “One OM,” a seva project designed to unite yoga communities in practice and service. One Om events continue to bring people together locally to love, honor and share the practice. 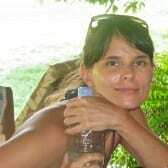 A continual student, Gioconda recently completed her Master’s Degree in Spiritual Psychology and is enrolled in ongoing studies in Ayurveda and Somatics. She leads workshops, teacher trainings, personal development programs and retreats across the globe but makes her home in Austin. Jason Bowman is a yoga teacher and writer in San Francisco. 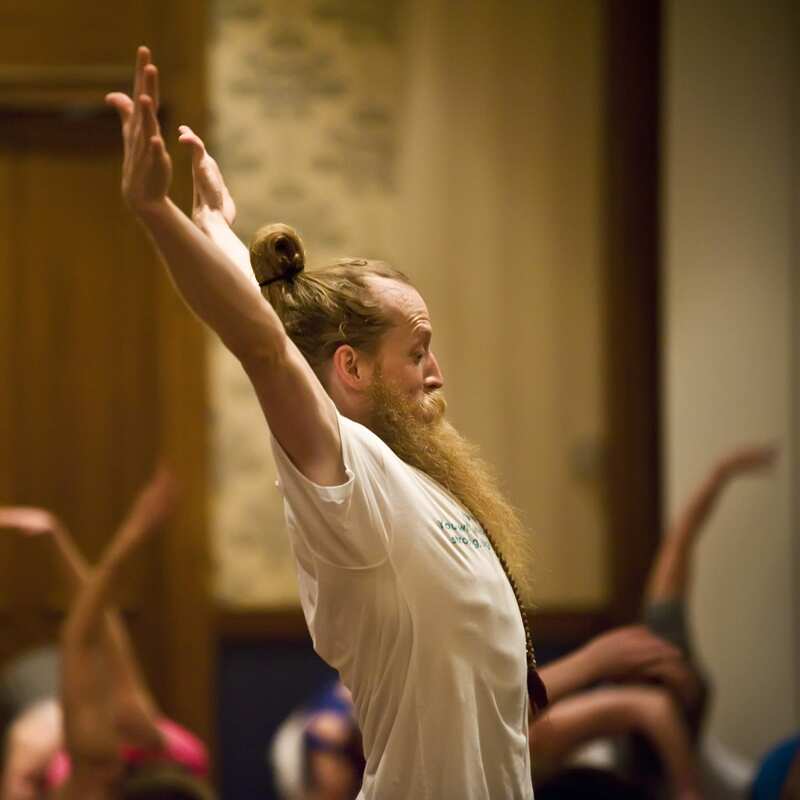 He has led many Yoga Alliance Certified teacher trainings as well as immersions, workshops, retreats and guest lecture series both internationally and around the country. His practice has been greatly influenced by Ashtanga Yoga as he’s learned it from Richard Freeman and Maty Ezraty and Vipassana Meditation as he’s learned it from SN Goekna. Jason is well known for his ability to be thorough while maintaining a light-hearted sense of humor. His classes encourage a personal examination of the space between theory and direct experience and his love for the practice shines through in his ability to teach with a concrete yet creative voice. Yoga has transitioned with me through many life changes and managed, not only hold my interest, but to stimulate questions and growth. The more i learn and practice the more i wanted to learn and practice. On the micro level, asana provides a place where i can focus and release; on a more macro level, yoga philosophy and practice has enriched my whole experience, providing a platform for self-love, support and community. How can i not share this treasure with others? When i am guiding others, intelligent and interesting sequencing, safety and alignment and access to breath are of utmost importance. As a guide and a human, i strive to be approachable and real both in and out of studio and to share openly what i have learned and lived. i have practiced with wonderful guides and gurus; i pass on their teachings with great care and humility. Jillian’s highest priority is to teach from her practice and to offer what moves her – to create space in the body in order to expand the space in our lives. In addition to teaching and practicing a refined style of Vinyasa yoga called Kula Yoga flow for the past several years, Jillian’s studies have included years of Anusara yoga and therapeutics; and for the past 4 years, Iyengar Yoga and meditation. These influences have shaped Jillian’s teaching into a unique blend of detailed alignment cues coupled with original and creative sequencing. Jillian is sought out for her direct, clear, and creative approach to teaching as well as her keen knowledge of the body. Ultimately, Jillian aims to create a class environment that is an eclectic blend of cerebralism, humor, and the synchronization of breath and movement – her students are called upon to use their minds, and then lose them, continuing that dance throughout. Kate is a dedicated yoga teacher, ocean lover, and truth seeker. Her teaching style blends strength with grace revealing a practical yet inspiring fusion of Western Movement and Eastern Principals. Kate’s athletic background combined with her practical approach to the practice offer a unique harmony of power and discipline paralleled with vulnerability and Self discovery. This balance of strength and grace in her own being empowers students from all backgrounds and inspires the discovery of peaceful warriors, and maybe teachers, in us all. Kate is passionate about expanding yoga awareness and inspired by projects of the same vein. She has lead multiple Teacher Training Programs on the island of Oahu, as well as produced and organized yoga festivals on both the East Coast and in Hawaii. Kate’s latest adventure took her to the Oceans of Southern India as part of the yoga and surf film project, Beyond The Surface. Kate currently splits her time between Hawaii, Virginia, and California. Kate is a proud mama of three boys and lives with her husband and kiddos in her hometown of Austin, Texas. After living in New York and San Francisco for 12 years combined, Kate is thrilled to call Austin her home (again) where she teaches yoga, writes and, most importantly, does the mama thing. Kate’s own mom introduced her to yoga almost 18 years ago. After moving to New York City in 2000, she started a regular asana practice to supplement her passion for running and quell the anxieties inherent to a life in Manhattan, but the benefits she experienced were much greater than she ever imagined. Having worked in the fast-paced world of publishing for two years followed by six years in publicity, yoga became a gift of grace in Kate’s life serving as a means to quiet the mind and turn inward, which continues to provide new perspectives on her life mentally, physically, emotionally and spiritually. Kate completed 500 hours of teacher training with YogaWorks New York. She is also a certified prenatal yoga teacher. She taught in New York and San Francisco for six years (combined) and was part of the teaching team for YogaWorks’ San Francisco teacher training programs. Kate is forever grateful for all of the teachers who have taught, guided and inspired her including Jenny Aurthur, Jeanmarie Paolillo, Nikki Estrada, Erika Trice, Mynx Inatsugu, Elise Miller, Rod Stryker and Tias Little. Kate teaches with the hope that yoga will touch her student’s lives the way it has her own. Her classes focus strongly on connecting the breath with precise alignment and mindful movement while encouraging playful exploration and a lighthearted approach to the practice. 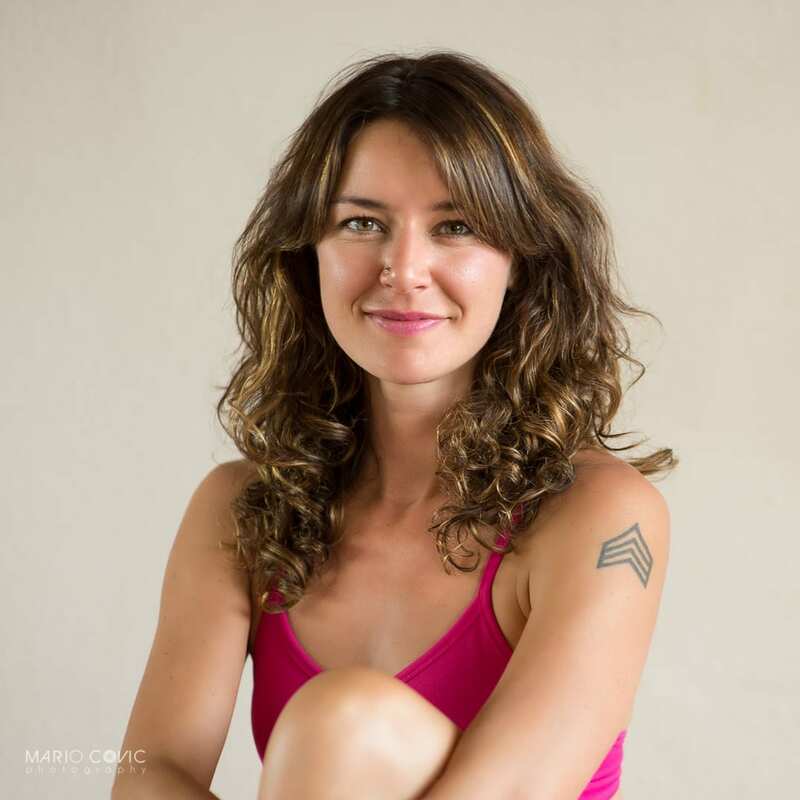 Incorporating breath work, personal intention, music, mantras and lessons from the Yoga Sutras into her classes, Kate teaches with the hope that the ideas and inspirations that her students uncover for themselves on the mat may be translated into their everyday lives with balance and ease. Turning Personal Practice into Purpose and Power. After 9-11, Kerri quickly discovered the power of yoga, not only as a way to heal her body, but as a spiritual tool to change her life. Inspired by this, she left a successful career in marketing to dedicate herself to empowering others to transform their lives through yoga and mindfulness. Kerri’s teaching is known to challenging and transformative as she coaches students in using the tools of yoga and mindfulness to reshape their body, mind and soul. With an accessible and playful approach, she balances a dynamic physical practice with intelligent alignment instruction and motivational context. Her students leave clear, grounded and inspired to live well and play big in the world. Kerri is the founder of Catalyst Collective, a movement-inspired coaching program designed for mission-based individuals, groups and organizations who want to be successful AND make a difference in the world. She is the Executive Director for the non-profit, Off the Mat, Into the World and is committed to mobilizing the yoga community around positive social change. To learn more about Kerri Kelly and her work in the world go to www.kerrikellyyoga.com. 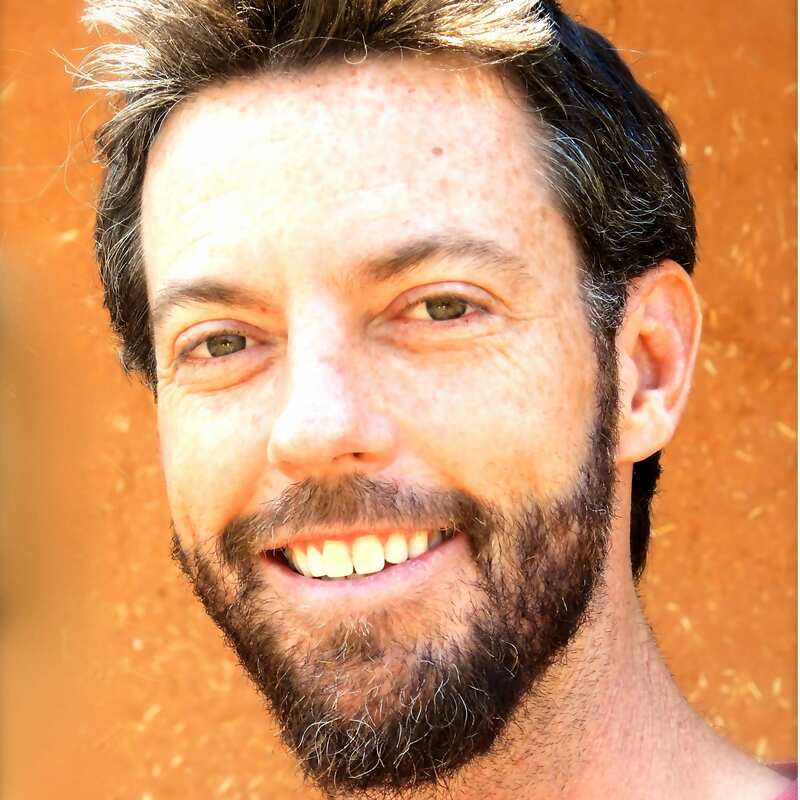 Kevin Courtney is recognized for his innovative and authentic teaching style, weaving classical Hatha yoga and contemporary Vinyasa sequences with the ancient art of Qi Gong, and Kundalini kriyas. Inspired by his primary teacher Nikki Costello, and influenced by the teachings of Richard Freeman, Swami Satchidananda, & B.K.S. Iyengar, his goal is to foster an inspired learning environment so that students can explore for themselves the deeper meaning of the practice. Kevin is also the founder of Nada Sadhana, a music project creating contemporary instrumental music for yoga and movement. Their first album, Volume I: The Brooklyn Sessions, became one of the most listened to albums in yoga studios across the country and is available on iTunes. He teaches in New York City at the Kula Yoga Project and holds workshops, trainings and retreats around the globe. In 1992 I woke up to the magic of yoga (NYC-style), and was hooked.Truth and chang e keep calling, year after year. These days I am most interested in elevation and revelation through motion on the mat and the stillness and weight of the sit bones. Drawing from an inspired long-term love affair with vinyasa, my teaching suggests a fresh approach to flowing, with attention to breath, midline and internal landscape. The perfect match for my other job as an acupuncturist, teaching feeds me like nothing else. Watching human beings trudge in, kick off their shoes and rip open their hearts is something to see. I am a dedicated lover of life; a yogini, a meditator, a teacher, a writer and a forever student of living. A trail runner, rock climber, snow boarder, mommy, wife and devoted friend. Sometimes together, sometimes falling apart, but always inspired and empowered by love. I am passionate about teaching the full spectrum of yoga (asana, pranayama, meditation, chanting and mudra) in such a way that helps to positively transform our whole experience of being alive. I have been sharing the yoga life with all kinds of seekers for over 10 years and have 1500+ hours of yoga therapy and teacher training. I have always been an avid lover of life and particularly, life in the mountains. However, after years of rock climbing, trail running, mountain biking, snowboarding, mountaineering and surfing, I turned to yoga to heal my young, but failing body. What started out as a purely functional, physical practice, grew to so much more. As my body healed, heart opened and mind cleared, the stresses of life (big and little) began to simply roll through me and affect me less. My life became more vibrant and inspired than ever. Now, thanks to yoga, I continue play in the mountains with a renewed sense of passion and grace, excelling at the activities that once took such a toll on my body. In 2007, after practicing and teaching yoga for several years, I opened Simple Yoga in Hamilton, MT and took on teaching yoga as my “full-time job”. But really sharing yoga is my passion in life and offering to this world. In total, I have been teaching for over 10 years and have 1500+ hours of teacher training and yoga therapy training. Currently, I lead 200HR Wanderlust Yoga Teacher Trainings and am on the faculty of The Avahana School and lead trainings for their advanced 300/500HR program. I also lead national and international workshops, teach group classes at my home base in Tahoe, and remain very dedicated to all of my private yoga-therapy clients. Using the full spectrum of yoga (asana, pranayama, meditation, mantra, mudra, philosophy, energetics of the subtle bodies, ets. ), I am fully committed to helping my students reap the amazing benefits of this practice and create a realm of boundless possibilities in their lives. Whether your body is old or young, healthy or challenged in any way, this practice is for you. I have students who are healthy and active and those with health challenges including: cancer, MS, Alzheimer’s, diabetes, arthritis, various structural disabilities and chronic pain issues. No matter who you are, the practice of yoga can help you to lead a healthy, integrated, vibrant, inspired life. When I am not at the studio, you can find me with the loves of my life – Lilli, Mark, Laila and Libby exploring high in the mountains with freedom in my body and lightness in my heart. Nikki Vilella is a senior teacher at NYC’s Kula Yoga Project, co-owner of Kula Williamsburg, and at the helm of Kula’s 200-hour teacher training program. She strives to include the perfect alchemy of precise physical instruction, intelligence, intention, and space into her classes. Her passion for sequencing, rhythm, and hands on adjustments are clear in her teaching. Admittedly a movement junkie, she also firmly believes that in the silence of “not doing,” in a place that does not harbor our habitual distractions, we can begin to know how we truly feel and begin to see things more clearly. It is the juxtaposition of these opposites that Nikki tries to blend seamlessly into her Kula Flow classes. Passionate and inspirational, Ryan Leier brings a creative energy to every class he teaches; whether in his One Yoga studios or as an ambassador of yoga to communities around the world. Equally devoted to continuing his studies as to teaching, his distinct expression of ancient traditions touches his students’ hearts. 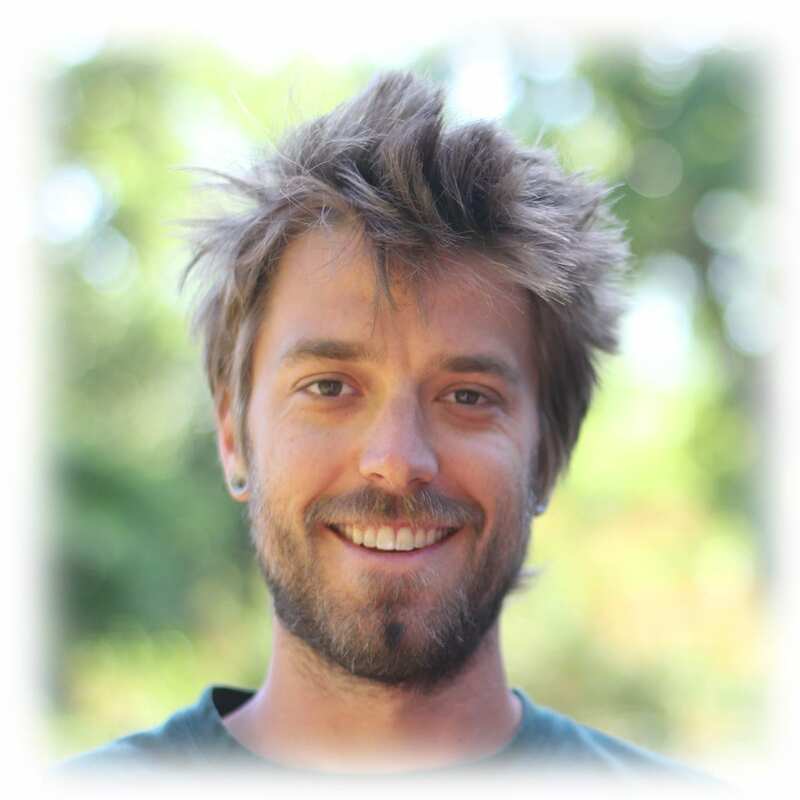 Registered as an E-RYT 500, RCYT, the highest designation with the Yoga Alliance, Ryan is primarily a student of the Krishamacharya yoga lineage having received teachings directly from the Masters, Sri BKS Iyengar, Sri K. Pattabhi Jois, Eddie and Nicki, Baron Baptiste, Srivatsa Ramaswami and Father Joe Pereira. Drawing profound inspiration from his daughter, Kiyah, Ryan created Vinyasa Yoga for Youth, an innovative non-profit organisation designed to empower youth ages 5 – 22 through the practice of yoga. Ryan is a firm believer that, through steady practice and devotion, all people – regardless of age, gender, race or religion – can experience the Oneness of Yoga. Sara Elizabeth Ivanhoe is the Yoga Spokesperson for Weight Watchers, most recently releasing the “Weight Watchers Yoga Starter Kit.” She began teaching in 1995, shortly after graduating with honors from New York University. She has completed the Yoga Works teacher training, a specialized Therapeutics program and is also certified by Erich Schiffmann in his Freeform Style. Sara is the instructor for the “Yoga for Dummies” series, the “Crunch Yoga” series as well as the collaboration with Russell Simmons “Yoga Live.” She had an extended run on Fit TV with “All Star Workouts” and on Exercise TV with “Yoga on the Edge.” Sara was a regular on Vh1’s “Dr. Drew’s Celebrity Rehab” and has been featured on all the major news channels. She is highlighted in the acclaimed documentary “Titans of Yoga” and “Women of Bhakti.” Ivanhoe is one of the few teachers certified by the Green Yoga Association to teach Yoga and Ecology. In addition, Loyola Marymount University has awarded Sara a Certification in Yoga Philosophy. She is an MA candidate in LMU’s Inaugural Yoga Studies program and most recently has been appointed Student Senator of the Bellarmine College of Liberal Arts. Schuyler is the co-creator of the Wanderlust festival, director of Kula Yoga Project Tribeca and co-director of a sister studio in Williamsburg. She has developed a signature style of Vinyasa yoga called Kula Flow, which integrates the breath-based flow of Ashtanga and the precision of Iyengar into a deep, sweaty and transformative mind/body experience. The opening of Kula Yoga Project in 2001 was her attempt to bring a little California vibe to the mean streets of NYC, and the studio is now a go-to in NYC for teachers of all traditions. With the festival, her two studios, and her three daughters, she is in deep need of her yoga practice; it healed her back two decades ago and now keeps her soul intact on a daily basis. 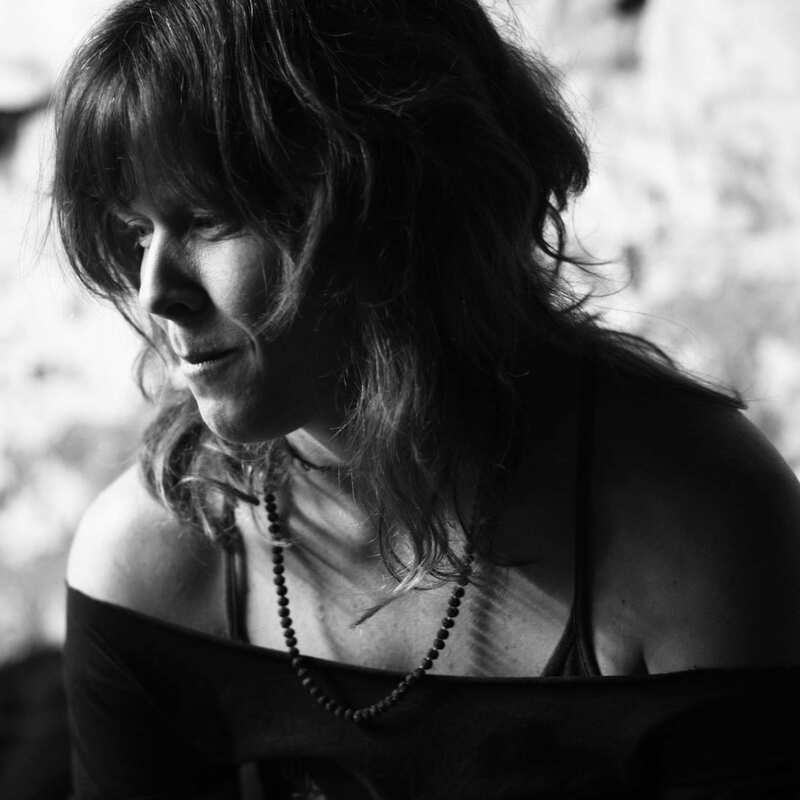 Amy co-taught with Bonnie Bainbridge Cohen for five years and was on the faculty of the Laban/Bartenieff Institute of Movement Studies for ten years. She has taught embodied anatomy and movement workshops for programs in the United States and internationally, and leads the BMC® & Yoga programs in the United States. Amy co-authored with Leslie Kaminoff the best-selling book Yoga Anatomy, and together Amy and Leslie teach The Breathing Project’s Advanced Studies courses in New York City. Nina Alena Beatty was born and raised on the North Shore of O’ahu. She has been serving her community for the past 6 years teaching donation-based yoga. 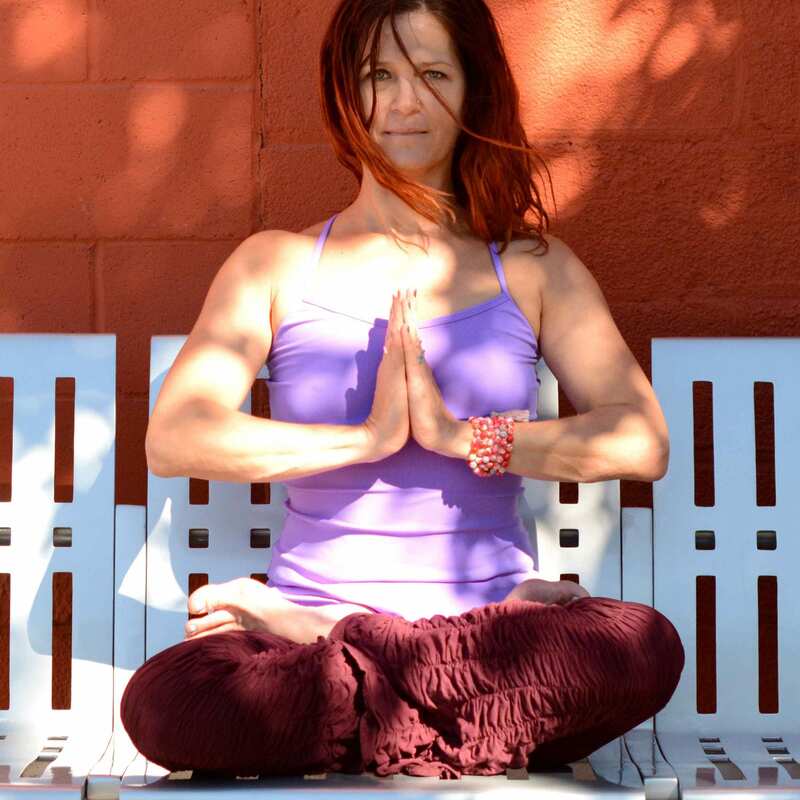 She teaches yin, vinyasa, and keiki yoga (for the kids!). Nina bases her teaching and life around the principle of being present with the constant changes we face. Her classes are arranged in a manner to suit the day and the needs of the students in a light-hearted fashion. Intention setting is a key part of her teaching. She believes we all have different reasons to be on our mats, but it is very important to let our own Inner Light shine through the universal teachings of Yoga. Nina also directs Keiki O Waihuena, an educational program for children at an organic farm (Waihuena Farm) across the street from Pipeline. The curriculum covers yoga, cooking, nutrition, art and gardening. She has previously been the head yoga educator at Sunset Beach Elementary School. Nina has her culinary degree and has been a community advocate for growing and eating local and organic food. She teaches cooking classes through the AINA In Schools program at local elementary schools. She also teaches adult cooking classes promoting the use of ‘ulu, or breadfruit (a staple in the traditional Hawaiian diet). Nina also loves to play in the ocean. She considers surfing, swimming, and body-surfing all to be a part of her daily yoga practice. Cailey fell in serious love with yoga on a beach in Panama where she met her teacher, Libba Harmon, in 2008. She deepened her practice with a 200 hour yoga teacher training though Yoga Sutra NYC with Guta Hedewig in 2009. She enjoys many styles of yoga, but has a fondness for traditional Hatha yoga in the Krishnamacharya lineage as well as fun vinyasa based classes with great music. Cailey currently lives in Boulder, Colorado where she practices Chinese medicine and does her best to live a balanced life with attention to body, mind and spirit. Collette discovered yoga as a compliment to her breath and body work while studying acting at Bennington College. After working as teacher for a few years and receiving a Masters in Curriculum and Instructional Leadership, she moved to Austin and decided to take her yoga practice to the next level and completed her teacher certification. Collette strives to practice with intention — both on the mat and off! For her, this means moving with an open mind, a happy heart, and compassion for herself and others. Through teaching, she hopes to inspire a sense of community and to encourage jer students to push past self-imposed physical and mental limits. In Collette’s class, you’ll experience a light-hearted, dynamic, mindful and fun flow-based practice. Bring your sense of adventure and a smile! Lilly Barels is a funky, fun-lovin’ yogini. She started her journey on the yoga mat as a dancer, trying to heal injured ankles and knees, but found the therapeutic effects of the practice transcending the physical benefits. She graduated from UCLA with a double major in neuroscience and world dance, but decided to pursue studies in alternative medicine rather than the Western medical school track she had planned on since kindergarten. She trained to become a yoga instructor with the renowned Steve Ross in LA before moving to Hawaii, where she completed a three-year program called Sacred Path Healing. Here, she studied the chakras and energy fields, learned how to use medicinal essential oils for aromatherapy, and turned her attention inward to focus on connection with a higher consciousness. She is passionate about balancing the scientific side of yoga instruction with vital subtle energetics. She blends anatomy and physiology, a co nscious asana practice, and meditation to create a holistic approach for uncovering the divine spark within–and usually plays loud music just to keep things interesting. Besides teaching weekly classes, she has led several Teacher Training programs on Oahu and is a Lululemon Ambassador. She currently blogs about yoga for Huffington Post and is finishing an MFA in Creative Writing. Rolf Sovik, PsyD, is President and Spiritual Director of the Himalayan International Institute. He began his study of yoga in 1972, under the guidance of Sri Swami Rama. He completed a Master’s Degree in Eastern Studies in 1985 and a Doctorate in Clinical Psychology in 1991. He is the author of Moving Inward: the Journey to Meditation and co-author of the acclaimed Yoga: Mastering the Basics. 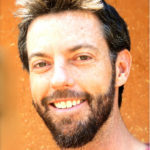 He has written over 40 articles for Yoga International Magazine and is a frequent contributor to yogainternational.com. He travels and teaches widely in the US and abroad. Sofiah Thom, the creator of Danyasa™ Yoga Arts, believes that every person possesses an inner artist — a unique, individual creative spark that just needs to be allowed or inspired to show itself. Sofiah’s mission lies in nurturing this creative spark in others with the aim to inspire them to live to their fullest creative potential. In Sofiah’s presence one feels her grace, strength and sensuality as she invites you to get out of your head and into your body. As a daughter of parents who are also healers and teachers, and as an interdisciplinary artist with a B.A. 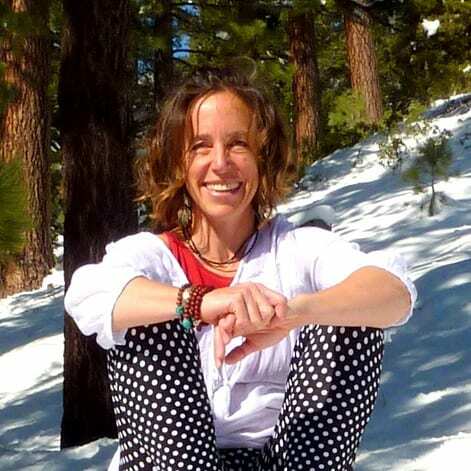 in Dance Therapy and Performing Arts from Naropa University, studies at the Tamalpa Institute in Expressive Healing Arts, and a myriad of trainings in Bodywork, Yoga and Dance, Sofiah’s deep understanding of the body shines through her work. Her experience and collaboration with certain key mentors laid the groundwork and sparked a deep sense of inspiration. In Colorado, she studied with Melissa Michaels, immersing herself in the foundation of the 5Rhythms. In L.A. she studied with other great masters such as Shiva Rea, Max Strom, Kenny Graham and Mark Whitwell within the yoga world and Anna Halprin, Vinn Marti and Barbara Dilley in the dance world. Today, Sofiah combines dance, yoga, expressive healing arts and ritual into her work and has appeared as a performing artist and workshop facilitator at international events over the past ten years including the Bali Spirit Festival, Bhakti Fest, Earth Dance, and Wanderlust to name a few. She has been featured in Yogi Times, Conscious Dancer and Elephant Journal. Sofiah lives and works in the Pacific coast of Costa Rica, where she and her husband opened Danyasa™ Eco-Resort and Bamboo Yoga Play studio. In 2011 Sofiah, her husband and a small group of individuals founded Envision, which quickly burgeoned into a world reknown transformational festival offering Music, Art, Education and Sacred Movement in the raw nature of Costa Rica. Danyasa™ Yoga Arts programs provide vehicles for self discovery and transformation as well as opportunities to exercise and get your sweat on. Sofiah is certified by Yoga Alliance as an E-RYT-200 yoga instructor.